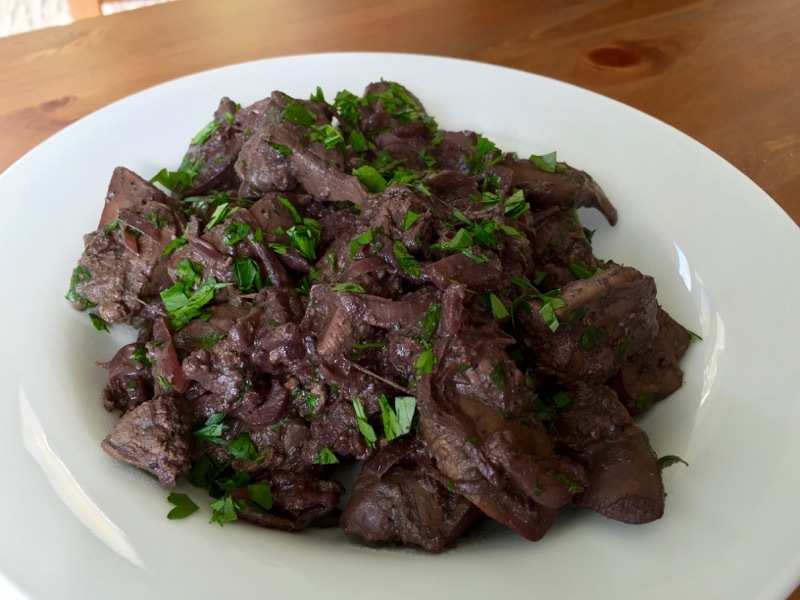 Chicken livers are rich, flavourful, incredibly nutritious and somehow still inexpensive. If you’ve had them before and didn’t enjoy them because they had a chalky texture, that’s likely because they were overcooked. The key to keeping this treat tender is to cook them until they’re just a little pink inside. Place a pan on medium heat and add the oil. Add the shallot and garlic, stirring occasionally for two minutes. Pour in the wine and reduce for four minutes. Turn heat to high, adding the chicken livers, salt and pepper. Cook stirring occasionally for four minutes or until livers are only slightly pink inside. Remove from heat and stir in the parsley, saving some for garnish.